“Can I have your autograph?” That’s a deceptively simple question. Firstly, what is an autograph? It’s a person’s signature on something. Most people sign their names everyday in many different ways, without thinking much about it. As a practicing dentist, I’ve written my signature more times than I care to remember on insurance forms, lab instructions, prescriptions, doctor’s notes, etc. I’ve never had a patient or staff member insist on keeping that piece of paper for the value of my signature. Then again, I’m not famous, so no one seeks my written signature for its inherent value. If I ever become famous, I will definitely join those who refuse to sign autographs. 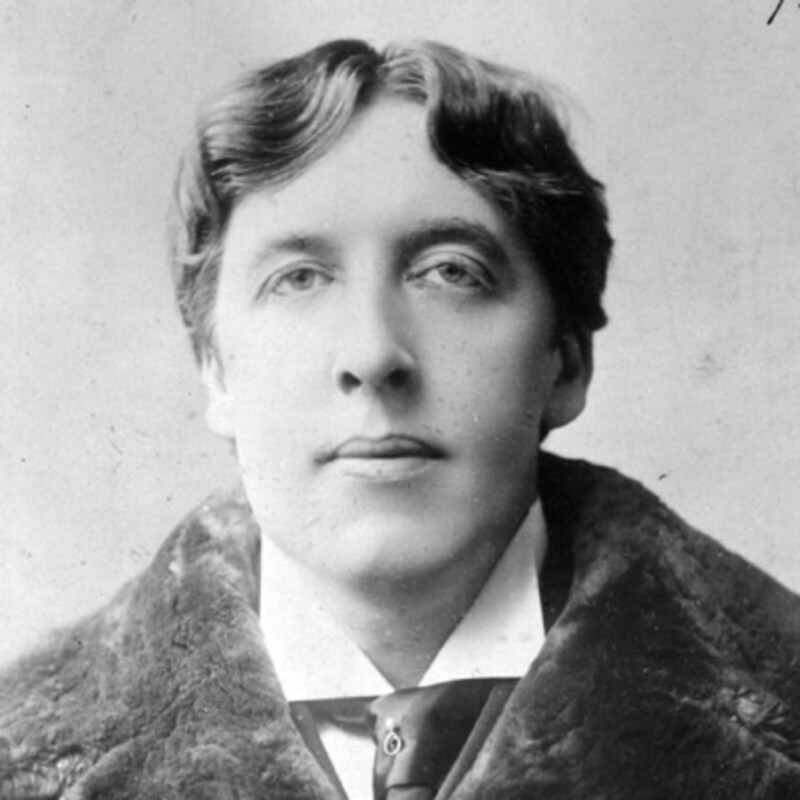 Oscar Wilde (below) once wrote, “The artist shouldn’t try to become more public, the public needs to become more artistic.” That is correct, so consider what that means and how it applies to autographs. Autographs and other sports memorabilia collecting can be linked in origin to the baseball card industry, which revved up in the 1980’s and took off in the 1990’s. Before then, baseball cards (like autographs) were a mostly a childhood delight. Kids collect and trade stuff naturally, with sports heroes & other celebrities being among their favorites. 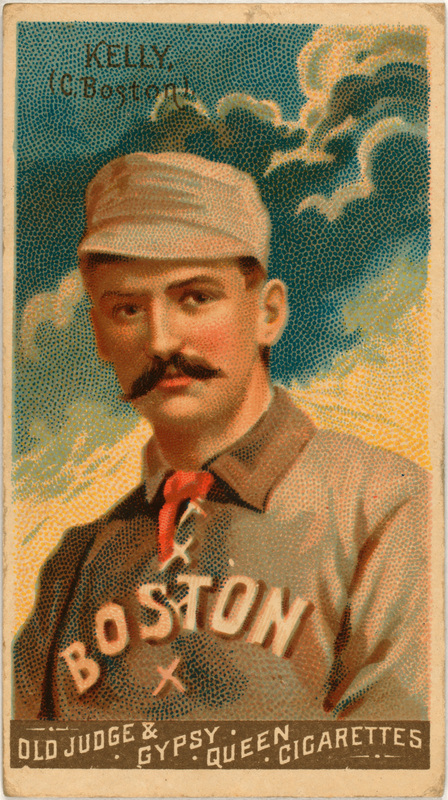 Baseball cards have been around as long as baseball itself. In 1952, Topps decided to sell baseball cards in packs, which led to a massive growth in their popularity. By the 1980’s, a number of new companies began producing baseball cards including Fleer, Donruss and Upper Deck and the market expanded considerably. Since 2000, there has been massive increase in speculation in this industry, attributable to an influx of new collectors with high disposable income. Much of this is comparable to what’s going on in the art world, with forgeries and dirty dealing being the norm. 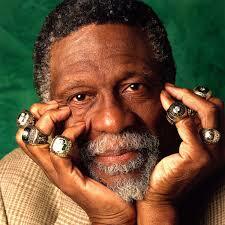 Basketball star Bill Russell (above), and actors Paul Newman & Greta Garbo all declined autograph requests in their days. 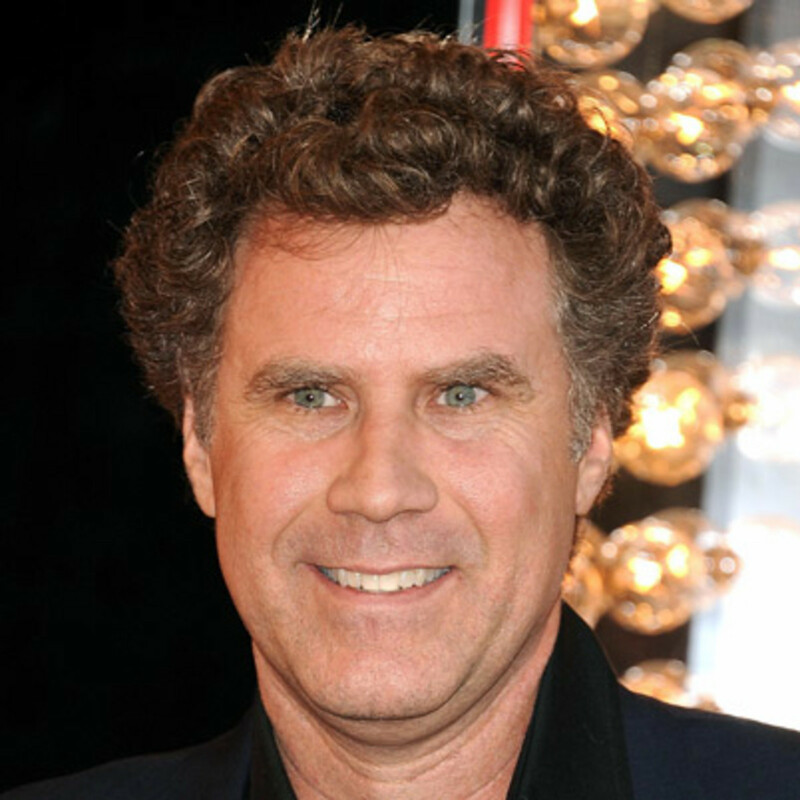 Actor Will Ferrell (above) mocks and taunts fans when they request his autograph. Makes you think twice before asking. 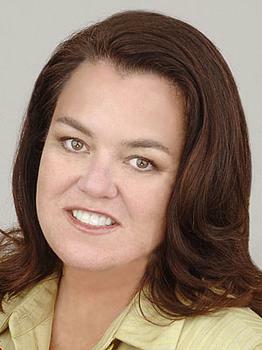 Talk show host Rosie O’Donnell (above) has refused to sign autographs for years, calling adult autograph seekers “sad.” She’s correct. 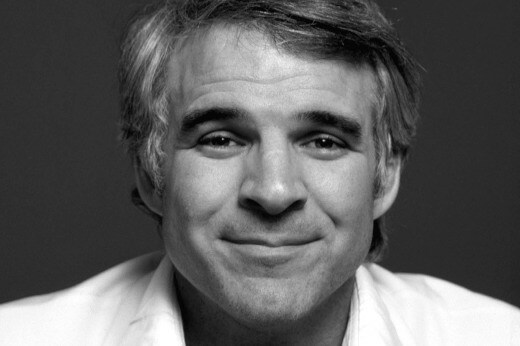 Constantly overrun with requests, actor/comedian Steve Martin (above) years ago had business cards with his autograph pre-printed, or cards that read, “This certifies that you have had a personal encounter with me and that you found me warm, polite, intelligent and funny.” Very creative. 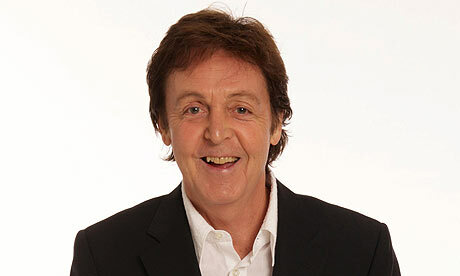 Ex-Beatle Paul McCartney (above) announced in 2010 that he would no longer sign autographs while out, and said that “most people are very understanding because they understand privacy.” Most do. Bottom Line: No one (not even a handicapped kid) should ever expect an autograph from anyone. An autograph is a gift that a celebrity chooses to donate. Do you go up to other people (you don’t know personally) and ask them for a gift, and actually expect to receive it? Do you interrupt people while they are working, expect them to do you a favor, and berate them if they don’t comply? That’s completely selfish. Athletes are competitors, which means they are wound tightly and they don’t take this kind of crap. When celebrities are provoked by seekers, you will get any of these above reactions, which are all justifiable. Memorabilia is about making money, not the integrity of their product. And just what is their product, anyways? A signature. A card. A ball or jersey. It produces nothing in value, and is the very definition of a speculative bubble. Dealers, auction houses and industry “experts” talk openly about finding novice buyers, which are required to perpetuate this sham industry. As long as people invest into this, it will continue. Third-party authentication (TPA) services grade cards and other memorabilia, for a fee. Like any other business, the idea is to make money, and they do that by pleasing their customers. This means authenticating known forgeries from ‘good’ customers. Autographs are commonly sold with certificates of authenticity (COA’s) and letters of authenticity (LOA’s), while trading cards use a grading system. COA’s, LOA’s, and grades are meant to assure the buyer that the signature or item is genuine. The problem is the entire sports memorabilia and trading card industry is run by a few people with bad reputations and/or criminal records. Third-Party Authentication giants PSA/DNA and JSA have cornered the market as the official “experts” endorsed by the major sports and collectibles auction houses, and even the online auction giant eBay. 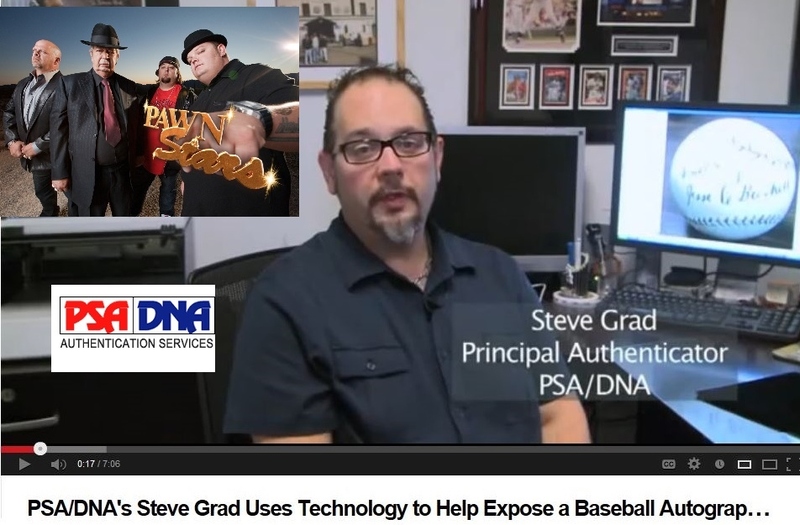 PSA/DNA’s lead authenticator, Steve Grad, has a spot on the History Channel’s hit show Pawn Stars as their ‘on-air expert’ for autographed materials. The TPA’s are advertised as the gold standard of an autograph industry fraught with fraud, deception and forgery. The FBI has claimed that over 50% of the signed collectibles in the marketplace are counterfeits . Often the services that do the authentication are also the ones that own the property and are selling it, creating an obvious conflict-of-interest. Shills are routinely used in the auctions to make the prices go up. There is an entirely unregulated industry, full of hustlers & con men. 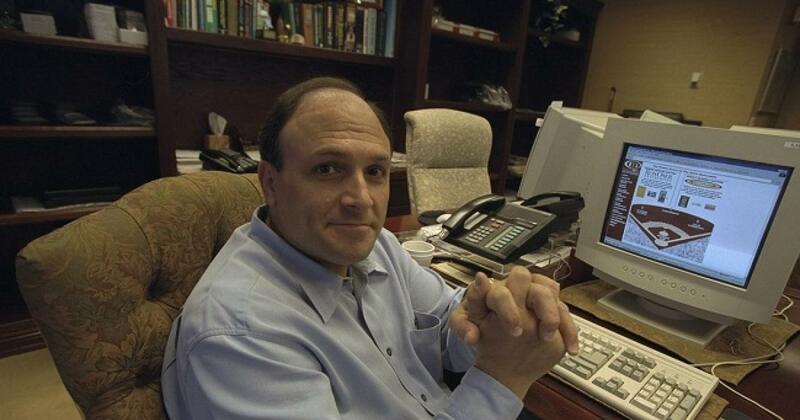 Industry pioneer Bill Mastro (above) formulated the TPA grading system to help protect himself and his fellow auctioneers. TPA’s have also shielded themselves from any liability by stating that their LOA’s are nothing more than an opinion and guarantee absolutely nothing. 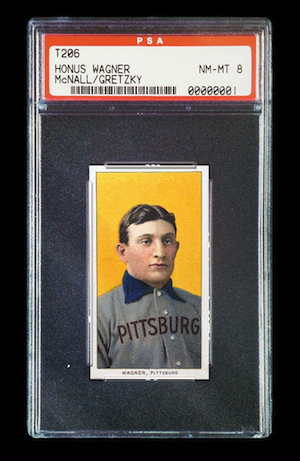 Mastro has acknowledged that he trimmed the world’s most valuable baseball card, the T206 Honus Wagner (below) once owned by NHL superstar Wayne Gretzky, greatly inflating its value. 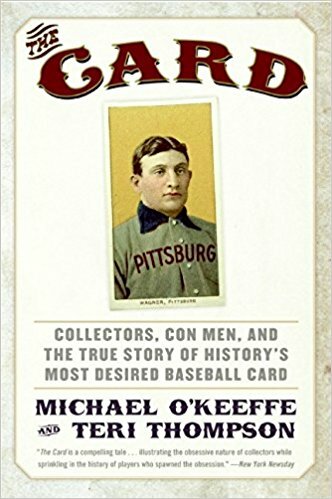 Authors Michael O’Keefe and Teri Thompson present a strong case that the card was actually cut from a sheet of cards, trimmed and altered. It seems that too many people have too much to lose, if this was actually proven, so the facts are conveniently ignored. No owner will allow “The Card” to be removed from its protective case to be re-authenticated, as that would risk losing all it’s value. On October 1, 2016, “The Card” sold for $3.12M in a private auction. The point is, whenever someone brings a ‘newly discovered’ Wagner T206 to the market, it is greeted with both excitement & skepticism. Most of the time they are proven as forgeries. 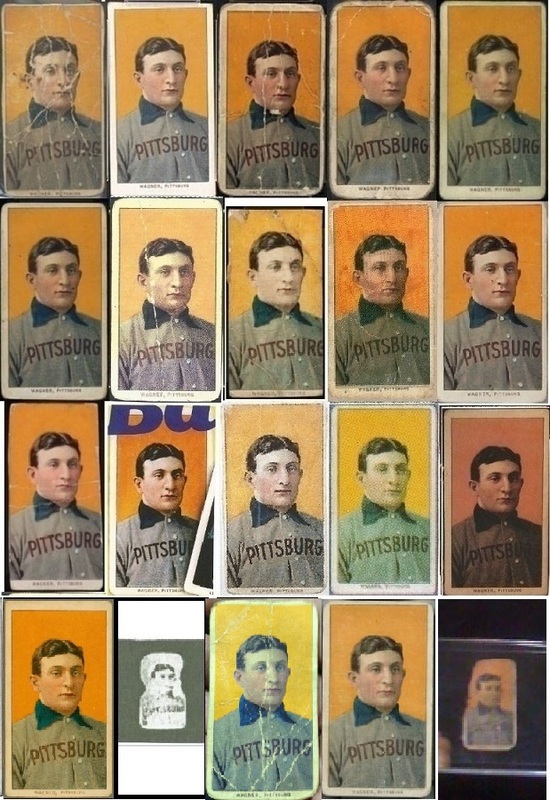 The facts point towards the world’s most valuable baseball card most-likely also being a fake, and that doesn’t bode well for this industry in the long-term. The truth is, this sports memorabilia craze is like all the rest under American capitalism, in which lawlessness & unethical behavior dominate, in order to make money from nothing. Final point of etiquette: Parents need to teach their kids that when they ask for a celebrity’s autograph, they are making a bargain for life. The celebrity is choosing to give a piece of him/herself to the fan. If it eventually gets sold, then the celebrity isn’t making a fan, but instead feeding the machine. When this happens over & over, celebrities get jaded. All celebrities monitor this nowadays. The overall message on everything discussed above, is that the current set-up isn’t working for celebrities or the fans. It’s only benefiting a thin layer of parasites who are ruining things for everybody else. Most athletes will tell you that they enjoy signing autographs for charity, and especially for the kids. They do it for that look of surprise & joy that only comes from innocent eyes, and makes a fan for life. The problem of problems is that everything under capitalism has to make money, and it’s the bleeping money that ruins everything. 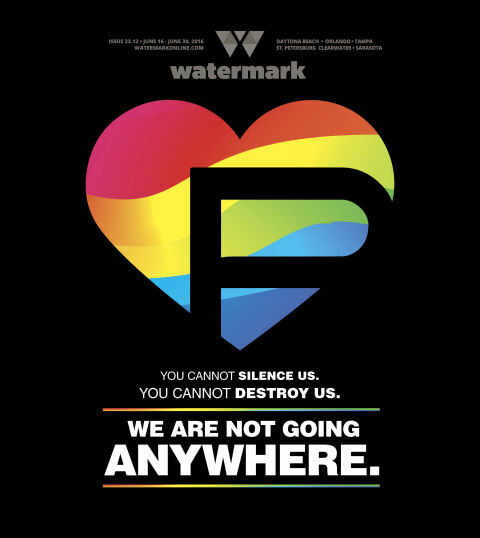 One year ago Omar Mateen went into the Pulse gay nightclub in Orlando, FL at ~2:00 AM, and killed 49 patrons– wounding 53 more, before being killed by the police after he pledged allegiance to the Islamic State terror group. It was the worst mass shooting in US history. Since then there has been no serious investigation of this tragedy, because all signs point towards US military & intelligence involvement. On the morning of June 12th, about 15 minutes before the first gunshots went off at Pulse, he posted a video featuring himself, dressed in military garb and seeking to inspire a sense of urgency among his 10,925 Facebook followers: “To the revolutionary people in Afghanistan, country is in danger,” he wrote. 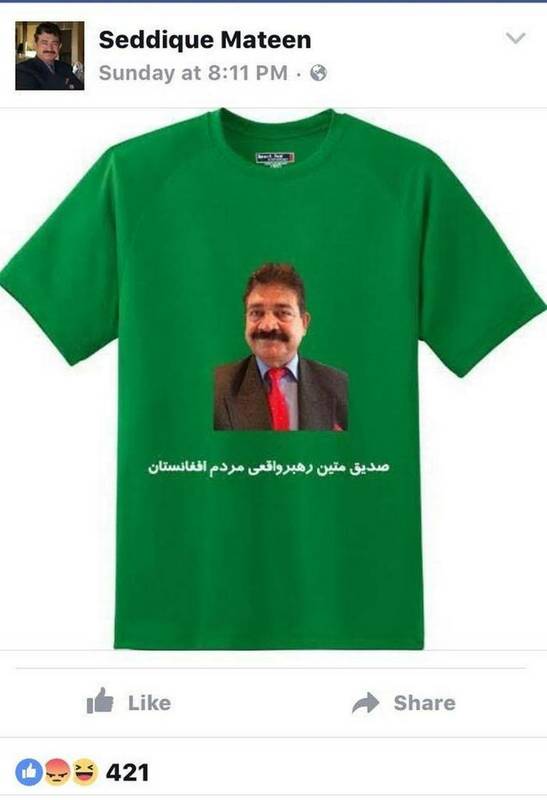 On Sunday at 8:11 p.m., as further details of the tragedy were starting to emerge, he posted a photo of a t-shirt emblazoned with his own image and a phrase in Pashto that made reference to his name and Afghanistan. 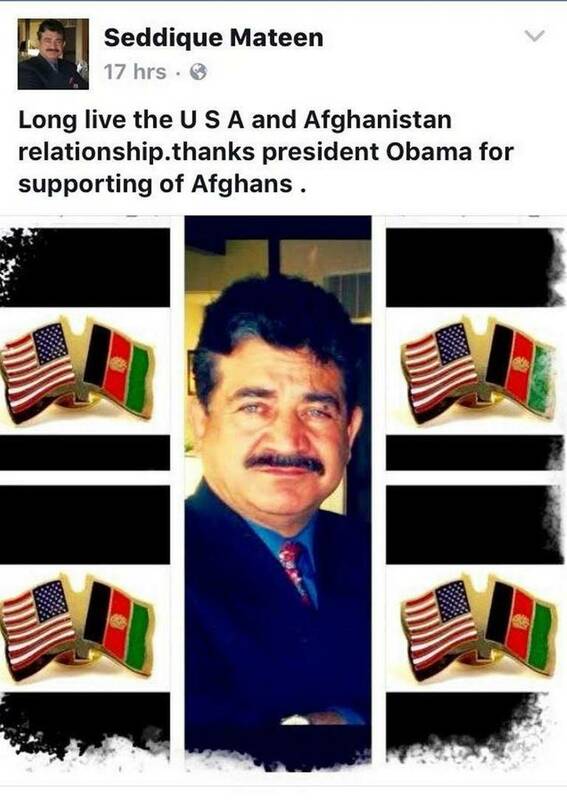 On Wednesday at 1:30 a.m., perhaps feeling the pressure of the mounting national attention, he posted a photo praising the United States for its involvement in Afghanistan, in contrast to criticisms he leveled in earlier videos. He had told reporters outside his house on Monday morning, “Taliban are the ones that destroyed Afghanistan” — a dramatic change from earlier videos. 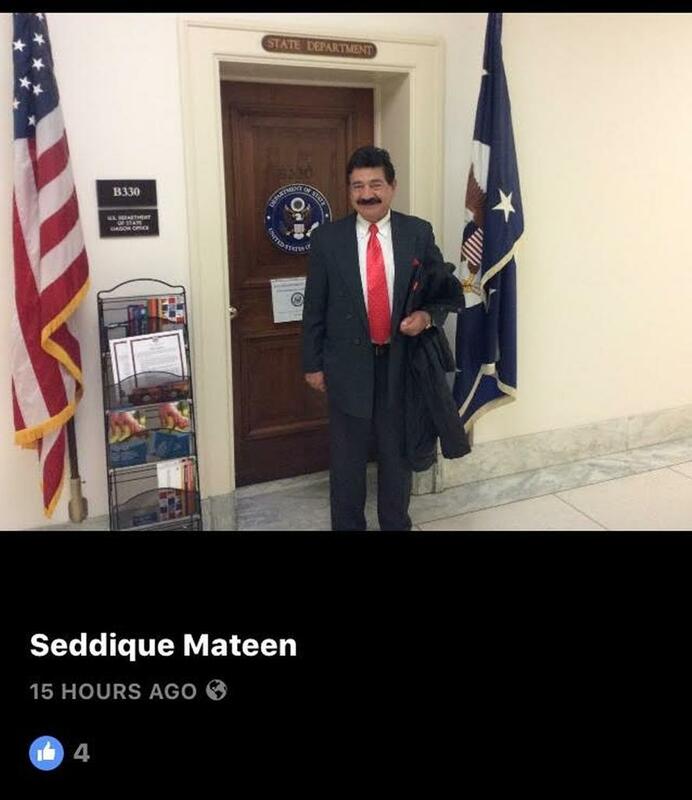 On Wednesday at about 2 a.m., a few hours before he would tell reporters camped outside his Fort Pierce home that his son’s widow, Noor Salman, was no longer in town, he reposted a photo of himself standing alone outside the closed door of a Capitol Hill basement office — the U.S. State Department Liaison Office. The Liaison Office mainly helps members of Congress organize their overseas travels and processes their passport and visa paperwork . 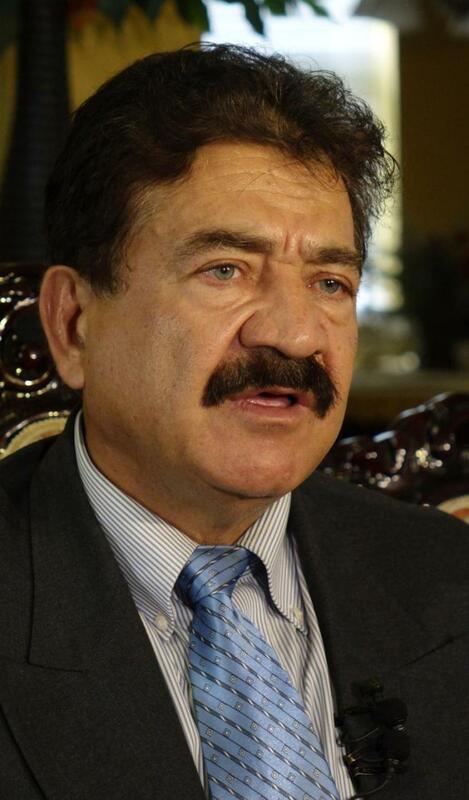 Seddique Mateen came to the United States ~1980, just as the CIA was escalating its funding for radical Islamic terror to fight against the Soviet Union’s invasion of Afghanistan in 1979. It’s clear by reporting that Seddique Mateen does nothing productive, and that all his income is most-likely a pay-off from US intelligence. 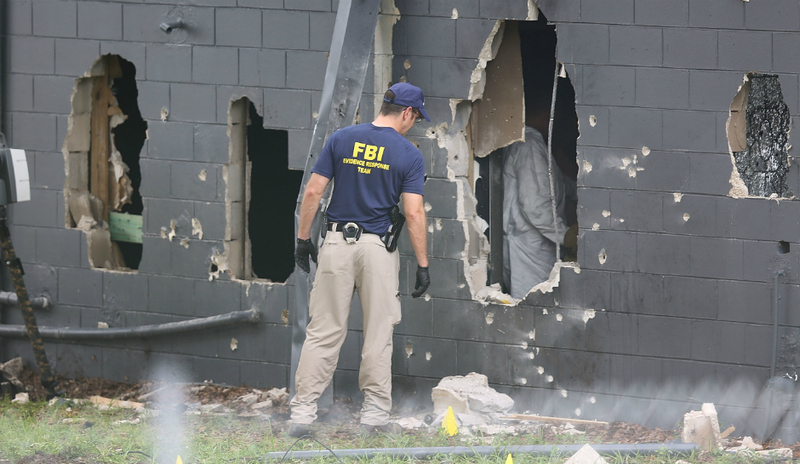 Why isn’t Seddique Mateen even investigated for his role in the Orlando massacre? Because he’s protected by the Black Hand. 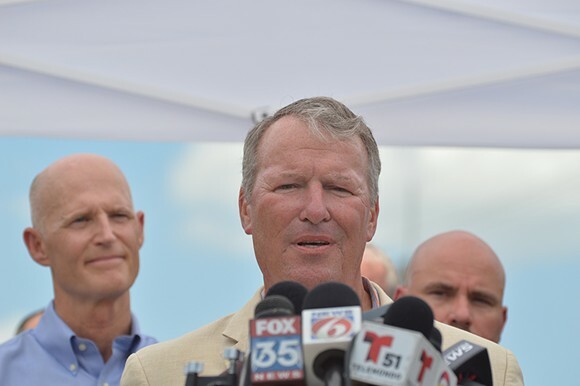 Orlando mayor Buddy Dyer (above, with governor Rick Scott left), “Were we going to be known as the site of the worst mass shooting in history? Right out of the box, we said we wanted to be defined as something different than that. We will not be defined by the act of a cowardly hater. We will be defined by how we respond and how we treat each other.” There’s Florida politics for y’all: heartfelt delivery of empty bluster (in which everyone is supposed to hug each other at the end), and then throw up your hands & go home. The flip side is a shortage of relevant facts and well-directed inquiries from the media . 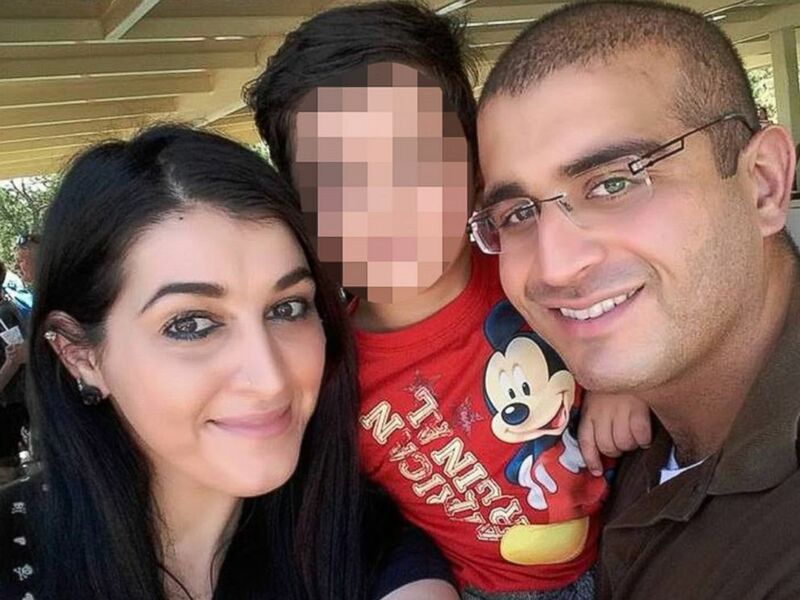 The US government cover-up plan is clearly to have Omar Mateen’s wife take the fall for everyone. It appears Noor Salman (left, with Omar Mateen) had at least some knowledge of Omar’s intentions. She also claims to have been abused and threatened by her husband. They had a 3-year old daughter at the time, for context. On January 16, 2017, six months after the tragedy, the FBI arrested Noor Salman at her California home. The charges against her include aiding and abetting Omar Mateen’s attempts to support ISIS, and obstruction of justice . One year ago I published my account of this massacre, from the information available at the time. One year later the public has been told only a few more facts, from what was known then. More to the point, it appears the existing facts are being ignored & erased. Speaking as a resident of the greater area, there is much genuine anger and desire for answers from the people of Orlando, because whether you knew someone directly affected by this tragedy or not, it was so awful in scale & ugliness that it can’t be ignored. The problem is that any impulse towards genuine truth always gets diverted into safe bourgeois channels, such as ‘official investigations’ and identity politics (above). No justice (and therefore no healing) will come to the people of Orlando, as long as they continue to turn a blind eye to the root cause of this tragedy, and the many others that occur daily around the world. Those truly responsible must be held accountable, or else they’ve gotten away with it. One-third of the way through the 2017 Monster Energy Cup season and here are my NASCAR observations. The dominance that Joe Gibbs Racing (JGR) had last year was purely on the engineering side– with the newly-introduced low-downforce package. Toyota nailed it better than the other manufacturers in 2016, and that’s why JGR was the dominant team, especially early. 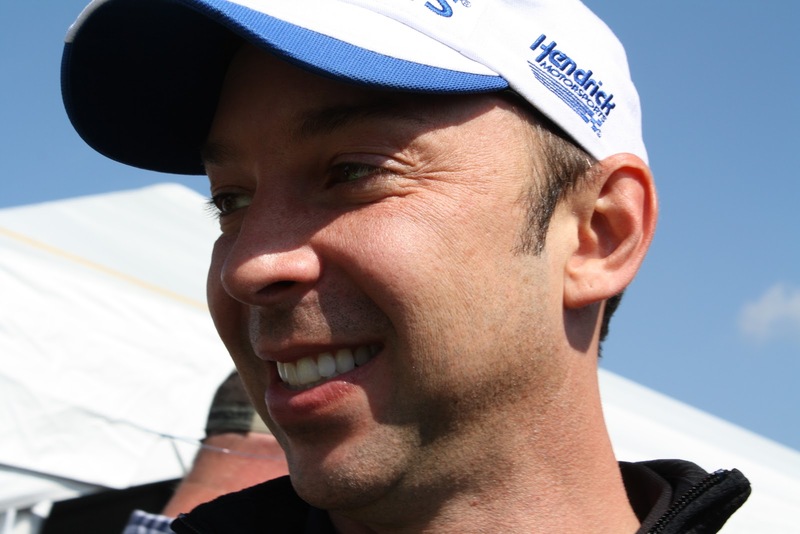 In the end, Jimmie Johnson won it because he’s the smartest driver, who works best with his crew chief (Chad Knaus, below) and the rest of their team. I expect him to be in it again at Homestead, along with Martin Truex, Jr, Kyle Larson (all above), and a Penske driver. In the #14 car, Clint Bowyer has neither sponsorship nor a win, despite consistently having winning speed. He needs to perform or bring in money, or he’ll be out after 2017. Kevin Harvick is their top-performing driver, and the best chance for SHR to reach Homestead. Last at SHR is Danica Patrick, who is out there to make money for everyone. Her fans understand this and don’t mind too much, as long as she isn’t being wrecked. Wonder Woman (above) was another iconic sponsor for her, as she continues to lasso in the money. You can’t lie to that. Even Nature’s Bakery insisted on her for two races, after falsely claiming she was the reason they had failed to pay their bills, as part of their settlement with SHR . Obviously SHR is recouping as much as they can from Nature’s Bakery, without putting the fig-bar company into bankruptcy. The suit was over $31M owed to SHR, through Nature’s Bakery’s 2-year sponsorship deal with Danica Patrick. NB failed miserably at executing any kind for business plan that would capitalize on having a global icon marketing their brand. People often say that one person isn’t bigger than an institution, but that is incorrect in this media age. Danica is an icon, and Nature’s Bakery are a bunch of yahoo’s from Las Vegas, who had no idea what they were getting into with NASCAR sponsorship. That’s the dysfunction that is SHR (2017 above), and I can easily see this team replacing drivers and reducing to 3 cars next season, with Kurt Busch & Clint Bowyer being the most-likely cut candidates. This is a business, and there is too much waste at SHR. It can’t continue for much longer with these meager results. Dale Earnhardt Jr is pretty much cooked as a competitive driver. He’s winless in 2017 and currently 22nd in points. Another speeding penalty on pit road at the end of Dover, cost him a chance at a top-5 finish. 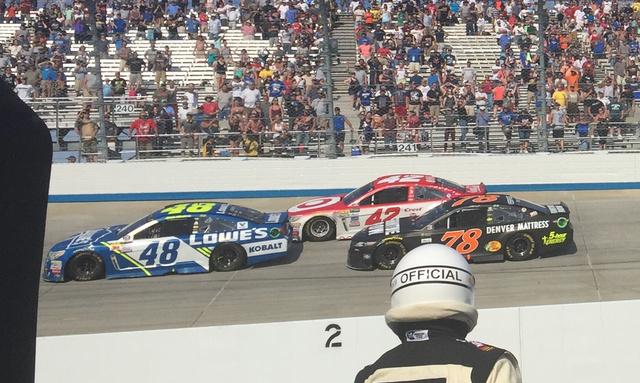 He was running in back all day, and got a lucky break late (along with 6-7 other cars including Danica Patrick), when a caution came out as everyone else had already pitted on green. Junior got 4 fresh tires and came out 10th, until he was penalized and had to go to the back of the lead lap (16th). 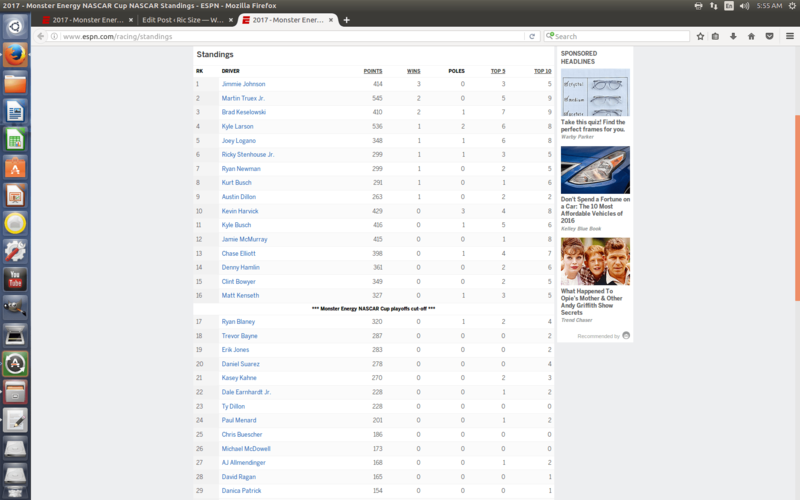 He finished 11th, which gets him no Cup points. Then again the #18 team may not be sanctioned at all, as JGR is already lobbying for a free pass . When there are rules, and the puppet-masters adjust them by ‘judgment of intent’ on a case-by-case basis, then you have the anarchy that is NASCAR. NASCAR actually stuck to their rules (which is a bit surprising), so give them credit here. 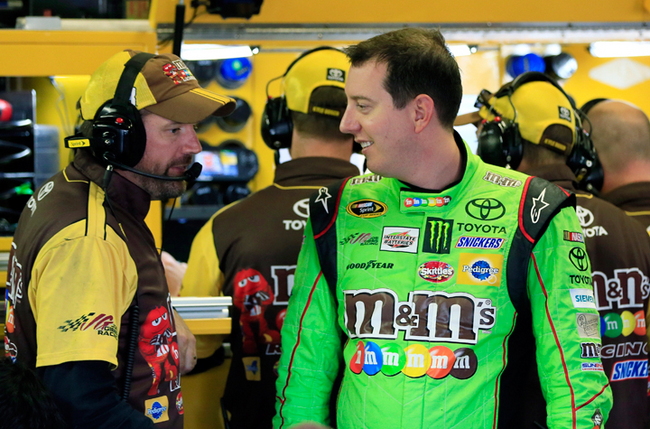 If the #18 team wanted to avoid this punishment, then Kyle Busch’s crew chief (Adam Stevens) shouldn’t have allowed their car to leave the pit box without a rear right tire being fixed on. The rule is for safety, and intent doesn’t matter when a tire comes loose, which creates a dangerous situation for everyone on the track. Put the tires on correctly, and there won’t be a problem. As far as those whining about ‘excessive punishment,’ everyone in NASCAR knows this suspension means nothing, as the crew chief is only excluded from being at the track, and can still be in radio contact with their team during the races for which he is “suspended.” The #18 team does have to find a new jackman and tire changer for the next four races, and that’s really the extent of this penalty.